Indiana’s General Assembly on Feb. 27 passed a bill by a 95-0 vote in the House after a prior 46-1 vote in the Senate that will allow remote online notarizations (RON). The legislation will go into effect July 1, 2019 once the bill is signed by Indiana Gov. Eric Holcomb. Online notarization involves the use of audio visual technology and electronic methods to conduct a notarization. Sponsored by state Sen. Travis Holdman, S.B. 372 modifies regulation related to notarial acts, including the use of electronic documentation and technology for electronic notarial acts. The legislation requires the secretary of state to adopt rules related to electronic notarial acts and remote notarial acts. The Government Affairs committee of the Indiana Land Title Association worked closely with its industry partners since the 2017 session when the bill was first introduced. The combined efforts of ILTA, the Indiana State Bar Association, Indiana Banker's Association, Indiana Mortgage Bankers Association, Indiana Association of Realtors and interested vendors led to the legislation that awaits the governor’s signature. In a statement, Holdman said Hoosier notaries will gain the ability to serve their clients online, creating a more safe, secure and efficient experience for everyone. Four states had already passed versions of RON legislation, including Montana, Nevada, Texas and Virginia. Jurisdictions with active RON bills include: Arizona, Florida, Georgia, Kentucky, Maine, Massachusetts, Michigan, Minnesota, Missouri, Nebraska, New Hampshire, New Jersey, Ohio, Oklahoma, Pennsylvania, Vermont, Rhode Island and Washington, D.C. A RON bill was passed in 2017 in Florida, but the governor vetoed it. In addition, legislation with minimal standards passed in Ohio as part of the state’s budget bill, but was later repealed. After legislation is passed in a state, secretaries of state will generally promulgate regulations related to the use of RON. ALTA and the Mortgage Bankers Association (MBA) have collaborated to prepare model legislation that provides the framework for states to adopt an online remote notarization process. 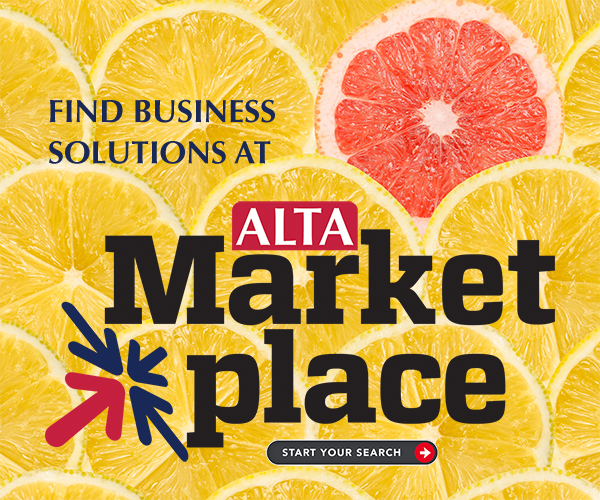 ALTA does not endorse online notarization, but wants to ensure any legislation that is passed is safe for consumers, that the transaction can be insurable and is technology neutral. If adopted, the model legislation would create legal certainty across the country from a uniform and consistent framework that is based on a common set of core principles. The model law is based largely on the 2017 statute enacted in Texas that was emulated in Nevada. These laws gave remote online notarizations the same legal recognition as in-person ones.